From the house of Allergan we have a new product called Juvederm Volite, a hyaluronic gel used to improve skin quality by: increasing smoothness, moisture, elasticity, and smoothing out small wrinkles. It works by improving skin texture, giving it a relaxed and nourished appearance, which lasts up to as much as nine months. Furthermore, using Juvederm Volite decreases the need for multiple treatments. The injection is intradermal and may be used for the face, neck, décolleté, and hands. Because the gel also contains an anaesthetic substance, it is quite pleasant to use. Up until now it has always been possible to rejuvenate the face with the help of plastic surgery or non-surgical procedures, but the problem of wrinkled hands, neck, and décolleté would always give away our true age. 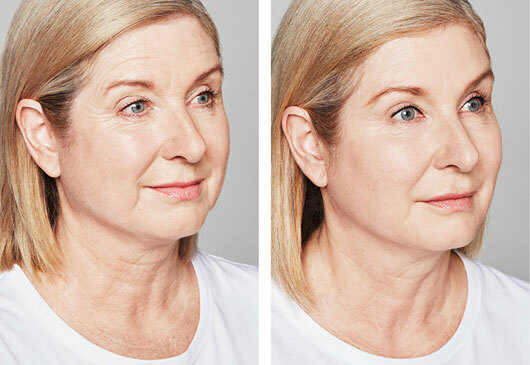 With the assistance of Restylane Vital and Juvederm Volite, this problem can be successfully solved by rejuvenating those parts of our body as well. 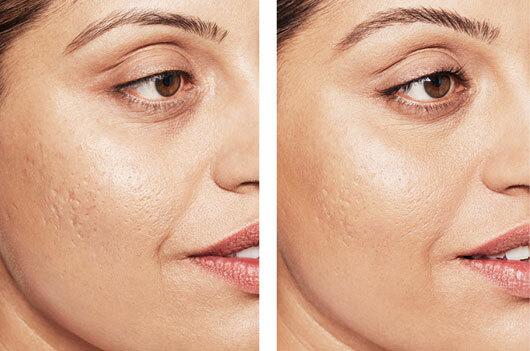 What are Restylane Vital and Juvederm Volite and how do they work? Restylane Vital and Juvederm Volite are innovations that use the latest scientific knowledge in this field. They are not real fillers, because their function is to replace the hyaluronic acid that the body has stopped producing naturally, and as the initial medical study showed, the use of Restylane and Juvederm products stimulates the production of new collagen in the skin. Simply put, Restylane Vital, Restylane Vital Light, and Juvederm Volite create hydration from within and ensure long-lasting moisture in the treated areas in a way that expensive creams can never achieve.Hyaluronic acid, whose main function is the binding and transfer of water, loses this ability over the years and therefore the most noticeable signs of aging become visible: wrinkles, roughness of the skin, lack of vitality, loss of elasticity, and visible or protruding veins. Excessive exposure to the sun also contributes to aging and ultimately dehydrates the skin, given that UVA radiation directly decreases our natural hyaluronic acid. Furthermore, years of our life and photoaging reduce the production of elastin and collagen in the skin, which contributes to skin aging. Hyaluronic acid, whose main function is the binding and transfer of water, loses this ability over the years and therefore the most noticeable signs of aging become visible: wrinkles, roughness of the skin, lack of vitality, loss of elasticity, and visible or protruding veins. Excessive exposure to the sun also contributes to aging and ultimately dehydrates the skin, given that UVA radiation directly decreases our natural hyaluronic acid. Furthermore, years of our life and photoaging reduce the production of elastin and collagen in the skin, which contributes to skin aging. Restylane Vital and Juvederm Volite treatments replace the lost hyaluronic acid and collagen, moisturising the skin from within, and replenishing and rejuvenating mature hands, the décolleté, and face. Juvederm Volite is a very practical and rational treatment: in the season one to two ampoules are injected per zone as a shock dose, after which you come in for maintenance only once every nine months. What is the procedure like and how long do the effects last? Restylane Vital is injected in small amounts with a thin needle deep into the desired area(s) of the skin. 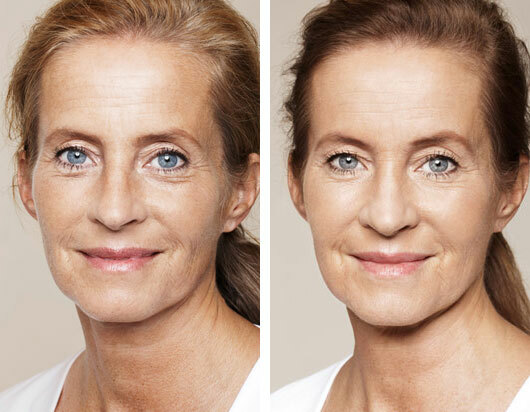 For optimal results, an initial therapy involving 3 treatments once every 4 weeks is recommended for Restylane Vital. After the end of the first cycle, some clients need maintenance treatment every 6 months, but over time the treatments become less frequent. The procedure takes between 15-30 minutes and is not overly painful. Depending on the client’s wishes and their threshold for pain, a pain relieving cream is applied. Possible side effects may be related to sensitivity to injections and may include: redness, tenderness to touch, swelling, or hematoma, but they are never serious or long-term and disappear after a few days. Because we are treating exposed parts of the body, such as the hands, it is important to reschedule your social calendar for a day or two after treatment. More major long-lasting side effects are extremely rare, and according to the latest studies, 1 out of 25,000 reactions have been recorded as being hypersensitive. Do not consume larger quantities of alcohol 24 hours after the procedure. Do not exercise 24 hours after the procedure. If you notice any hematoma appearing, apply ice or anti-hematoma cream. The use of mineral-based powder foundation is permitted. If you are prone to hematoma, use tablets or anti-hematoma cream one day prior to treatment and 5 days after your procedure. If you are prone to wounds, sores, or herpes around the mouth, and you would like to treat that area, ask your general practitioner for Zovirax tablets, which are to be used a day before and several days following the procedure. Right after the procedure we will thoroughly massage the treated area, while you can continue with a mild massage at home on your own, using a sterile gauze over the area. Try to avoid tanning salons and saunas 3-4 days after treatment. In the event that you are unclear with any of the instructions, feel any side effects, or have doubts about the success of your treatment, call us for advice or make an appointment for a check-up.